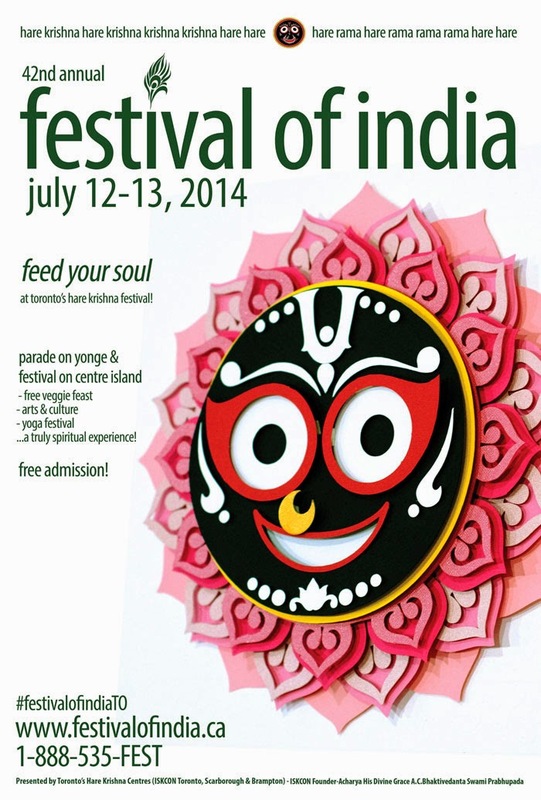 Volunteer Opportunities at the 42nd Annual Festival of India - July 12-13, 2014! ~ The Toronto Hare Krishna Temple! 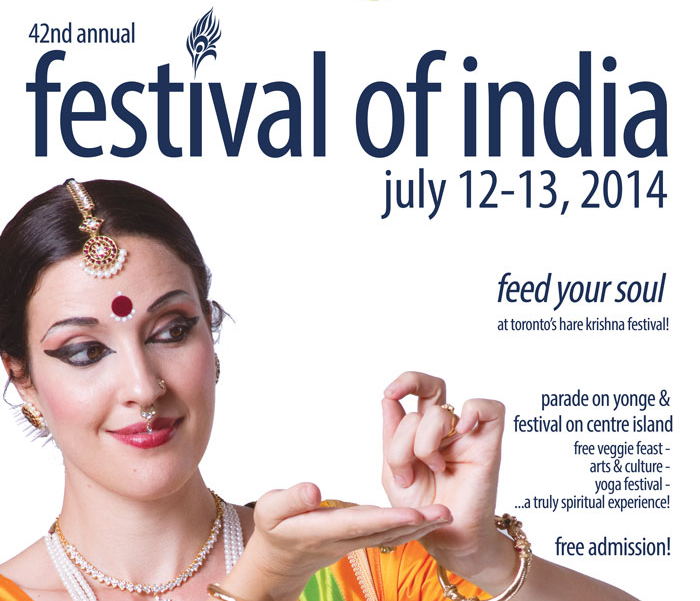 Volunteer Opportunities at the 42nd Annual Festival of India - July 12-13, 2014! With summer in full swing, the excitement surrounding the 42nd Annual Festival of India (Ratha-Yatra) is growing as each day passes! Whether posting flyers and posters across the city or helping on the days of the festival itself, the heart and soul of the Festival of India are the volunteers who make it happen! Join our enthusiastic and energetic team and be part of the Festival of India family! To sign up and register to be a volunteer, please click here and you will be directed to our online form. Once you have signed up, one of our friendly Volunteer Coordinators will be in touch. Stay tuned for more exciting information about the festivities leading up to Festival of India!